Fulwell’s name was first recorded in the 15th century and is probably a corruption of ‘foul well’. Fulwell Lodge, later Fulwell Park, was built beside the River Crane sometime before 1623. By the middle of the 17th century a mill also stood beside the river, and its site is now marked by Mill Road. Fulwell station opened in 1864 and terraced and semi-detached houses were built to its south later in the century. Fulwell golf course filled much of the western half of the area in 1904. The district grew further in the early 20th century after the arrival of tram services, and in response to the increase in population the (now redundant) church of St Michael and St George was built on Wilcox Road in 1913. Also in 1913, the exiled king of Portugal, Manuel (or Manoel) II, settled with his new wife Auguste (or Augusta) at Fulwell Park, from where he continued to strive for recon­cili­ation with his country’s repub­lican government. 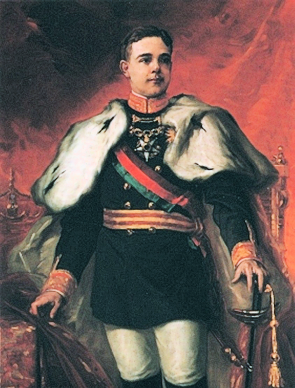 Manuel died at Fulwell in 1932 without an heir and received a state funeral in Lisbon. Afterwards, Auguste returned to her native Germany, where she created a new Fulwell Park. The couple’s house was demol­ished and the grounds were built over. The names of Manoel Road, Augusta Road and Lisbon Avenue commem­orate the royal residents. The original housing has since been supple­mented by a great deal of infilling. Fulwell grew in signi­ficance as a transport hub over the course of the 20th century. Its tram shed was shared by trolley­buses from the 1930s and became one of the last depots to convert fully to motor buses in 1962. At the 2011 census, 90 per cent of the residents of the Fulwell and Hampton Hill ward were white. Employment levels are high. Three-quarters of homes are owner-occupied. 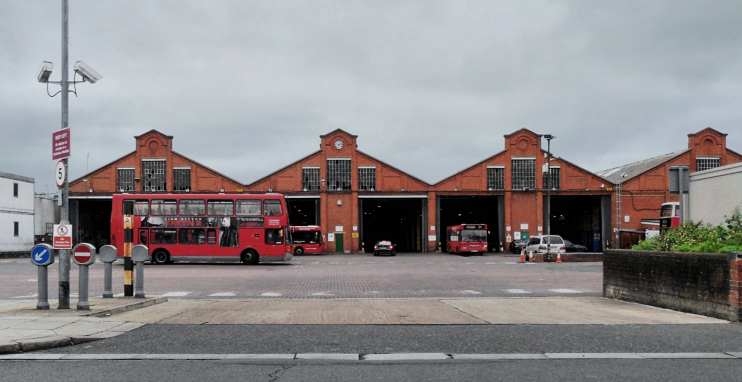 * The picture of Fulwell bus depot on this page is adapted from an original photograph, copyright Nick MacNeill, at Geograph Britain and Ireland, made available under the Attribution-ShareAlike 2.0 Generic Licence. Any subsequent reuse is hereby freely permitted under the terms of that licence.